Have you lost a loved one who passed away, or know someone who has? Prayers for souls in purgatory can help them! While we can derive great comfort from the hope that our loved ones are enjoying Eternal Life with God, it never hurts to pray for their souls in any case. 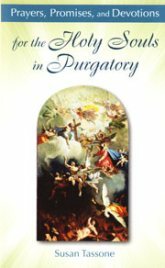 In purgatory, the souls of many of those who have died in God’s grace undergo purification so that they may enter heaven. Many of the Fathers of the Church, such as St. Augustine and St. John Chrysostom, considered prayers for souls in purgatory to be essential. The church has endorsed the doctrine of purgatory from the Councils of Florence and Trent in the 15th and 16th centuries right up through Vatican II in the 1960’s. The most famous scriptural reference, among others, concerning these prayers comes from the Old Testament where it is called “a holy and wholesome thought to pray for the dead, that they may be loosed from sins” (2 Macabees 12:46). 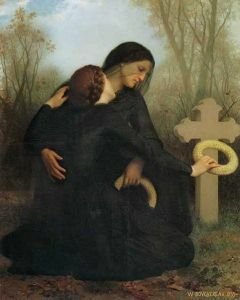 November is traditionally an especially important month to pray for those in purgatory, and many visit the graves of the departed on All Souls' Day, November 2nd, as shown in this painting on the right. While the sacrament of penance (confession) is essential for the forgiveness of sins, purgatory may still be necessary for many of us to satisfy the temporal punishment still due for venial and forgiven mortal sins. To get a better handle on what this means, think of a kid who breaks a window while playing ball. He can, and should, apologize to the person whose window has been broken, but either he or his parents, (or both!) still have to pay to fix it! While the souls in purgatory can do nothing for themselves, their purification "pays for the damages" of their sins. It makes whatever restitution remains for these sins to God. For another good way to look at it, think of your soul at baptism as being bright white. In your daily life it picks up bits of grime from sin, much like snow in a city a few days after a winter storm. Even with frequent confession many of us still need purgatory to really get our souls really spotless. Purgatory is more than just some sort of Divine Detergent, however. It prepares souls for their heavenly home! Purgatory has been described, at times rather poetically, as a “cleansing fire” that burns away the dross of sins on our souls. St. Paul wrote those of being saved “yet so as through fire” (1 Cor 3:15), and whether or not the soul endures a literal fire, its purification does involve suffering. Thus, when it comes to purgatory the expression “No pain, no gain!” seems apt. The time each soul spends there, and the severity of the pains it experiences, varies. However, our prayers for these souls can help alleviate their sufferings and help them reach heaven more quickly. Although they can no longer pray for themselves, they can and do pray for us as well out of gratitude! In addition to saying prayers for souls in purgatory such as these, we can help them by having masses said for the departed and by engaging in works of charity and sacrifice on their behalf. Heavenly Father, in union with the merits of Jesus and Mary, I offer to You for the sake of the poor souls all the satisfactory value of my works during life, as well as all that will be done for me after death. I give You my all through the hands of the Immaculate Virgin Mary that she may set free whatever souls she pleases, according to her heavenly wisdom and mother's love for them. Recieve this offering, O God, and grant me in return an increase of Your grace. Amen. Also, as Patrick Madrid, the well known author and lecturer, has noted, the degree of grace with which we bear our own misfortunes, offering them up to God for the forgiveness of sins, can shorten whatever time in purgatory we ourselves might face. O Lord, who art ever merciful and bounteous with Thy gifts, look down upon the suffering souls in purgatory. Remember not their offenses and negligences, but be mindful of Thy loving mercy, which is from all eternity. Cleanse them of their sins and fulfill their ardent desires that they may be made worthy to behold Thee face to face in Thy glory. May they soon be united with Thee and hear those blessed words which will call them to their heavenly home: "Come, blessed of My Father, take possession of the kingdom prepared for you from the foundation of the world." Keep in mind, however, that for the souls in purgatory there is great joy as well as pain. They know for certain they are bound for heaven! 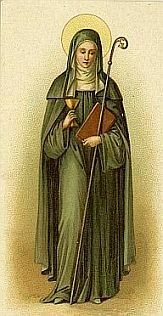 St. Catherine of Genoa wrote of the “flame of love” in purgatory removing what she called “the rust and stain of sins” and filling souls there with an intense longing for God’s eternal embrace. Talk about a burning desire! Remember that our prayers for souls in purgatory, along with our sacrifices and sufferings bared with grace, can shorten their time there (and perhaps ours as well). Christmas is known to be one of the biggest days of the year for the release of souls from purgatory to heaven. What better gift can we give them than our prayers?